Rep your favorite House from the hit Game of Thrones TV series! 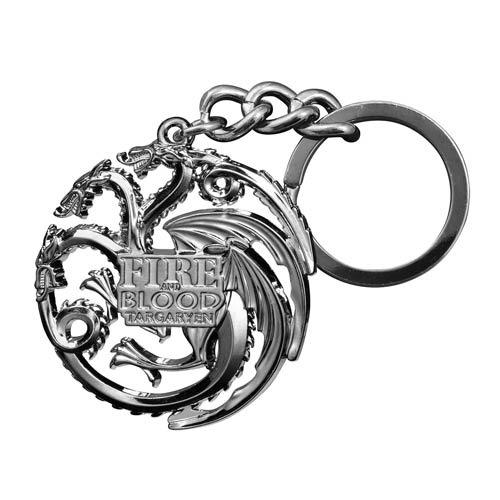 This Game of Thrones Targaryen Dragon Gun Metal Finish Key Chain measures approximately 2 1/4-inches long and features the three-headed dragon sigil of House Targaryen. Complete with a stunning gun metal finish, this key chain would be a great gift for any fan of HBO's Game of Thrones! Made from zinc alloy. Ages 14 and up.